Taking its cue from a study on chocolate consumption and Nobel Laureates, researchers also found a correlation between milk consumption and Nobel prize winners. Last October 2012, an article on the New England Journal of Medicine pointed out the correlation between ca country's level of chocolate consumption and its population's cognitive function. Using the number of Nobel Laureates, the article found that the higher a country's chocolate consumption, the more Nobel laureates it has per capita. 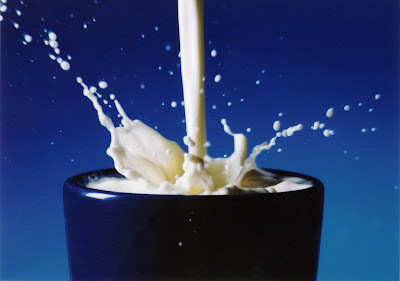 Milk has been known to have a healthy and beneficial effect on brain development and performance. On January 2012, researchers at the University of Maine put more than 900 men and women ages 23 to 98 through a series of brain tests – including visual-spatial, verbal and working memory tests – and tracked the milk consumption habits of the participants. They found that those who drank at least one glass of milk a day had an advantage over those who did not regularly drink milk at all. The Federation of American Societies for Experimental Biology (FASEB) Journal published an article in early 2008 concluding that there is ample biological evidence to suggest an important role for vitamin D in brain development and function. The American Academy of Pediatrics recommends whole milk, usually 3.5% percent to 4% fat, for children up to age two because saturated fats are needed for brain development. But when obesity is a concern, the AAP recommends low-fat milk with no no more than 2% fat for 1-year-olds who are at risk of being obese. Milk (from low fat to whole milk) contain an average of 27% of the daily requirement for Vitamin D.
Research published last year in the New England Journal of Medicine reported a strong association between a nation's chocolate consumption and Nobel laureate prowess, speculating that the flavonoid content of chocolate was behind the boost in brain power. This got the letter authors thinking. As chocolate is often combined with milk, could it be the amount of milk/milk products consumed per head that fuels Nobel Prize success? They looked at the 2007 data from the Food and Agriculture Organization on per capita milk consumption in 22 countries as well as the information provided by the author of the chocolate theory, and found a significant association. Sweden has the most Nobel laureates per 10 million of its population (33). Although, it hosts the Nobel committee, which some might argue could introduce an element of bias; it also consumes the most milk per head of the population, getting through 340kg every year. And Switzerland, which knocks back 300kg of the white stuff every year, has a Nobel haul of similar proportions (32). At the other end of the scale, China has the lowest number of Nobel laureates in its population. But it also has the lowest milk consumption of the countries studied—at around 25kg a year. There does seem to be a ceiling effect, however, note the authors, with no discernible impact beyond an annual per capita consumption of 350kg, as Finland's Nobel haul seems to attest. Is milk consumption therefore simply a reflection of a strong educational system, or do Nobel Prize winners celebrate by drinking it, query the authors? But there is a plausible biological explanation for the link: milk is rich in vitamin D, and this may boost brain power, the evidence suggests. "So to improve your chances of winning Nobel prizes you should not only eat more chocolate but perhaps drink milk too: or strive for synergy with hot chocolate," conclude the authors, who highlight their conflicts of interest, which include a tendency to take milk with cereal and coffee, and to eat chocolate whenever the opportunity arises.